Registration for Spring 2019 is SOLD OUT!! Our highly successful Fall 2018 Sunday Night Lights Season recently ended and SOLD OUT!!! Join our Spring 2019 Season starting from April 7 til June 16 at Daly Field on Nonantum Road. Games take less than 1 hour and are held on Sunday afternoons between noon and 3pm. Registration guarantees each player 8 games, including playoffs! ​Register your player today! Flag Football is the fastest growing youth sport in America because it is safe, competitive, and fun! Divisions are available for kids ages 5-14. All games are coached, refereed and scored. Playoffs and championship games are included. We are currently seeking coaches, referees, and administrative staff to assist on game days. Children of volunteers receive discounted registration fees at the conclusion of the season. Jacob has spent his life in athletics, and was co-MVP of his varsity basketball team in high school. Since then he has coached youth football, basketball, and flag football in the Boston area. He has led several teams to undefeated seasons and to league championships. 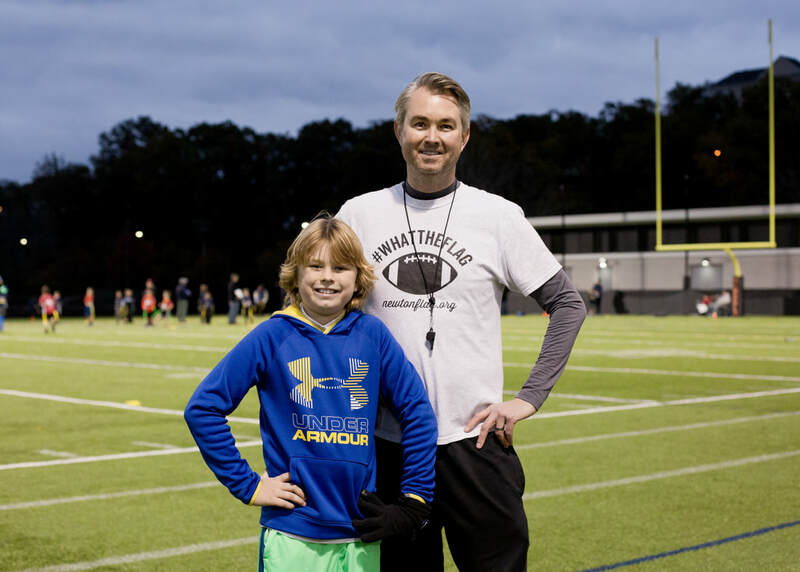 When he isn't coaching, playing basketball, or helping coordinate players and teams for the Newton Area Flag Football League, he researches the effects of social and mobile media use. Brian Arrington has been coaching youth football since 1997. Brian previously ran the Everett League for North Shore Flag Football and has recently been taking his travel teams to New York, New Jersey and Texas to play in NFL flag football tournaments. He has attended several football coaching clinics and is certified in concussion protocol and coaching tactics. His knowledge of the game of football is quite vast and he contributes to coaching several teams and providing advice to coaches in the NAFFL. Megan grew up playing basketball, flag football, soccer, and softball in the Midwest and is now a certified Vinyasa yogi. She previously earned a Master's degree in student affairs and has worked at several universities to help first generation, international, and at-risk students succeed. She runs all the administration and outreach functions as well as managing the registration desk of the Newton Area Flag Football League. ​Steven is a life long lover of sport and he started his journey early on as captain of his high school basketball team in Belmont and continued to excel while playing at New Hampton prep and at Keene State. Steven has also served as coach for community youth in New York and as a mentor at a boys home in Boston. He now referees adult and youth basketball, flag football and lacrosse. He lives in Boston with his family. Laurie played many sports when she was growing up. This passion even carried into her collegiate years with lacrosse and intramural sports. She still enjoys playing golf, tennis, basketball, touch football and going on hikes with her husband and kids. Laurie is a first grade teacher who regularly encourages her students to exercise both their minds and bodies throughout the day. ​Jack is having a great time playing flag football every Sunday. He loves his coach and his team. Thank you!" Flag football is competitive, fun, and safe. I can't say enough good things about competitive flag football at this level and encourage parents to take advantage of this program. 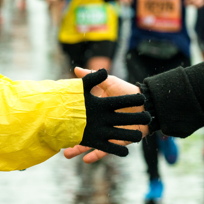 It opens so many developmental doors, both in terms of physical exercise but also socially." Thank you so much they love this flag football and it's very well run. Thanks for making it happen!"